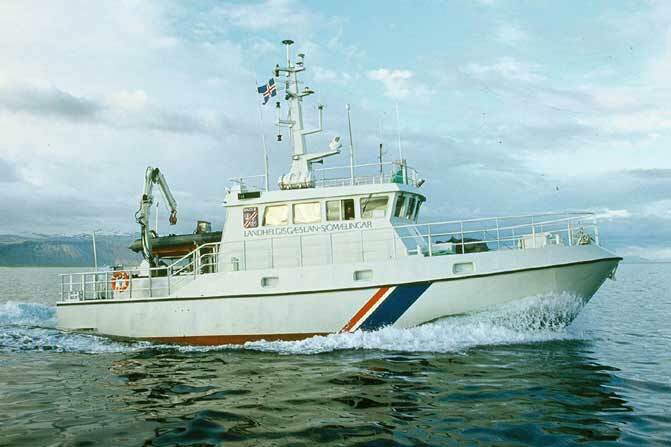 The third coast guard vessel by the same name arrived in Iceland in 1951. It was constructed in Aalborg in Denmark the same year. In 1972 the superstructure was altered and modified and new engines were installed. 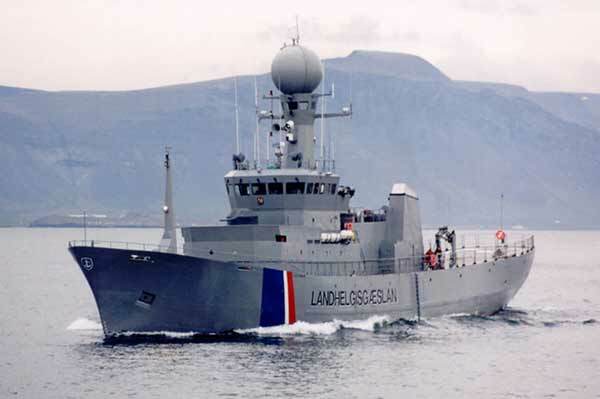 It was the flagship of the Icelandic Coast Guard for a decade. Its displacement is 693 tons and maximum speed 18 nautical miles. It was used for coast guarding, sea rescue, ocean biological research and other purposes. It participated in all “Cod Wars” between Britain and Iceland. Between 1982-85 the ship lay docked because of engine failure and then sold to The National Life-Saving Association of Iceland for the training of sailors, fishermen, harbour pilots and other related purposes. It was renamed “Saebjorg” and served as a school ship until 1998. In September 1998 the vessel was sold to Arnar Sigurdsson after the NLSA bought another school vessel, the former car ferry Akraborg. It was docked in Husavik harbour for several years until it was brought back to Hafnarfjordur harbour to serve as a floating restaurant and a museum, which was continued for some years. During that time many memoribilia on board depicted its history and the cod wars. After that it has been kept in Reykjavik harbour without any useful purpose (2005). The Icelandic Coast Guard was established July the 1st 1926, and the Icelandic government took over the operation of “Thor”. 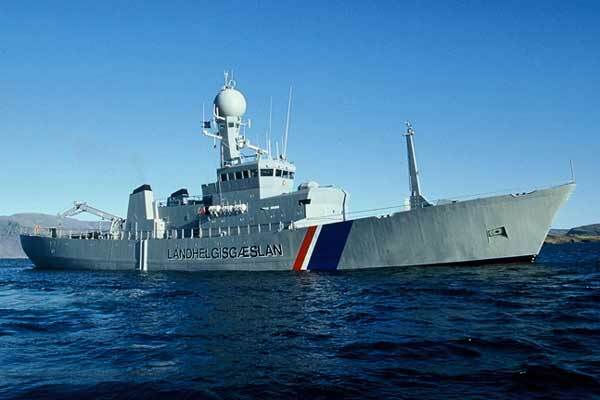 It soon adopted the policy of operating three coast guard vessels for the protection of the territorial waters and the vessels “Odinn” and “Aegir” were purchased. During the Second World War the watching of the territorial waters was not necessary and the coast guard vessels were chartered for the transport of fish, passengers and other purposes. 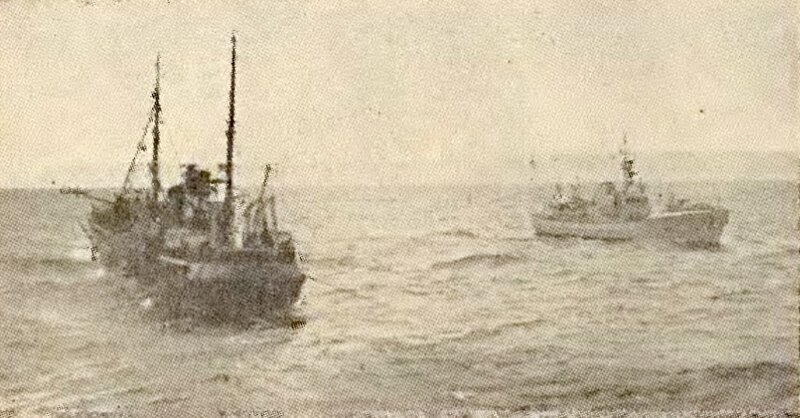 After the war, foreign fishing vessels returned and the fleet of the Coast Guard was increased. Minesweeping was added to its tasks. 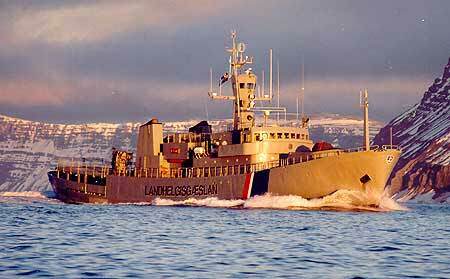 During the first four years of the Icelandic Coast Guard, it was under the supervision of the Ministry of Justice. The Icelandic State Shipping Authority took over until 1952, when the Icelandic Coast Guard became an independent state authority. In 1955 the Coast Guard received its first aircraft and in 1965 the first helicopter. The operation of the Icelandic Coast Guard has always been varied. It took over the operation of the lighthouse vessel “Arvakur”, supported ocean biographical research and geological research in connection with the Surtsey eruption (1963-67). The development and tasks of the Icelandic Coast Guard have changed much after the fishing limits were extended to 200 nautical miles. The staff and crews of the vessels are obliged to carry out law enforcement and assist or rescue. Most foreign and domestic fishing vessels honour the law and regulations concerning the fishing limits and the temporarily protected areas within them. The complexity of the ever increasing protection measures for an increasing number of fishing areas sometimes lead to clashes and misunderstanding, and it has become the role of the Coast Guard to interpret the law and prevent such incidents. The Icelandic Coast Guard is responsible for the inspection of the equipment and gear of the fishing vessels, rescuing their crews, the transport of sick or maimed sailors and fishermen. It also operates well-equipped aircraft for coast guard and ambulance services.